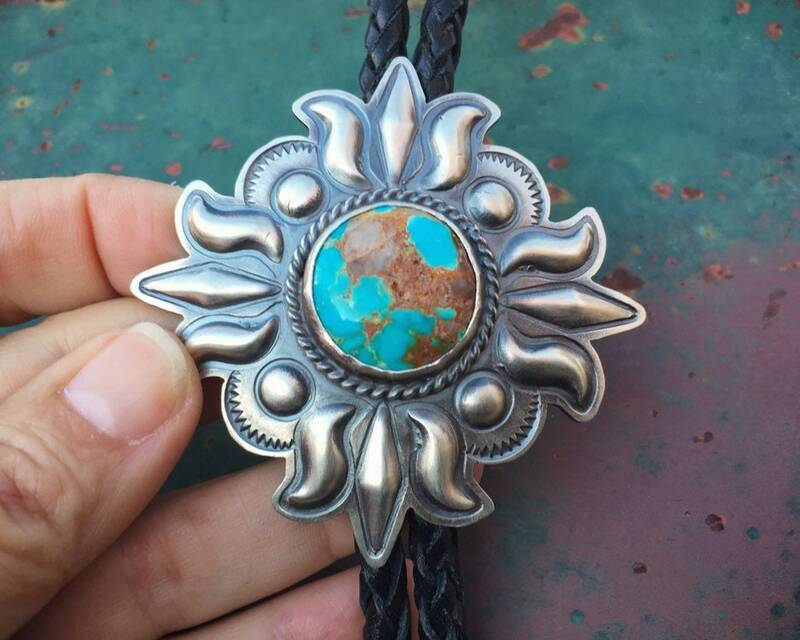 This great-looking bolo tie features a sun design as the foundation, the rays done in silver repousse whereby the silver is raised, and in the center is a boulder turquoise stone, with a large swatch of brown matrix. 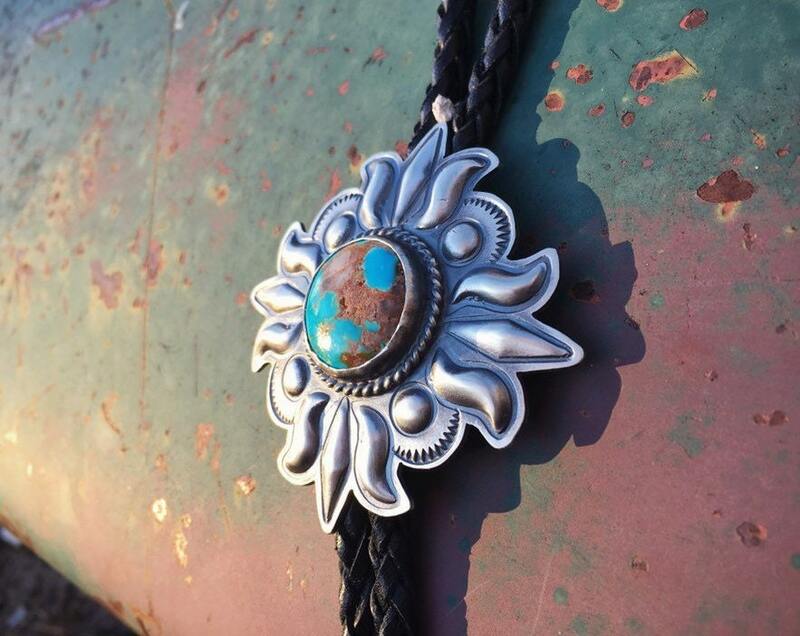 The stone looks almost like Mother Earth, and the sun rays remind me of a stylized version of the sacred Zia symbol. The piece is signed RJ, for Navajo Robert Johnson. 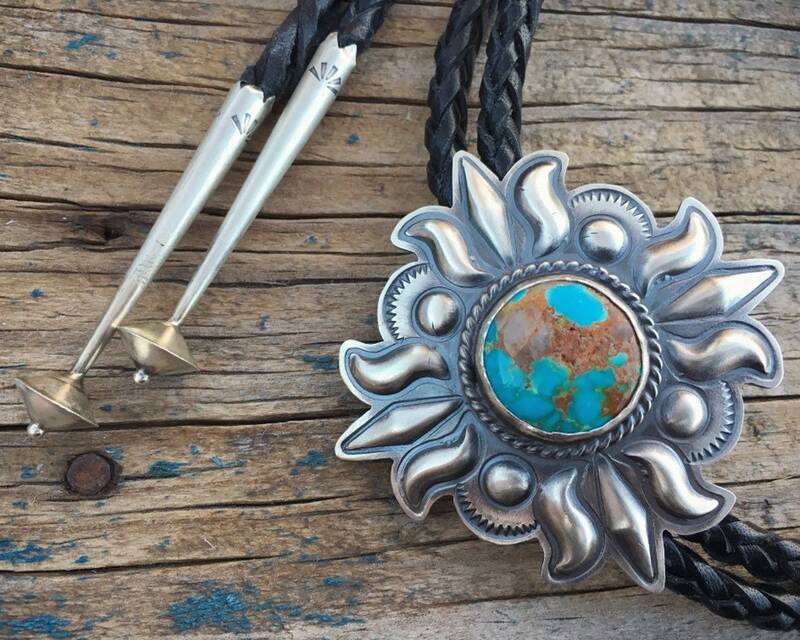 A great bolo that is timeless, and perfect to wear as an alternative to a traditional necktie. 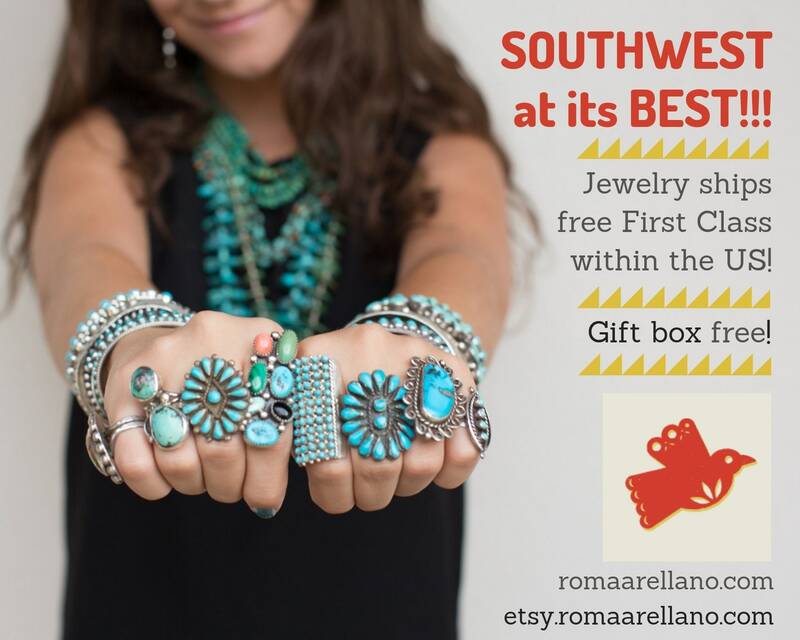 Wear it to your wedding and then to each date thereafter. 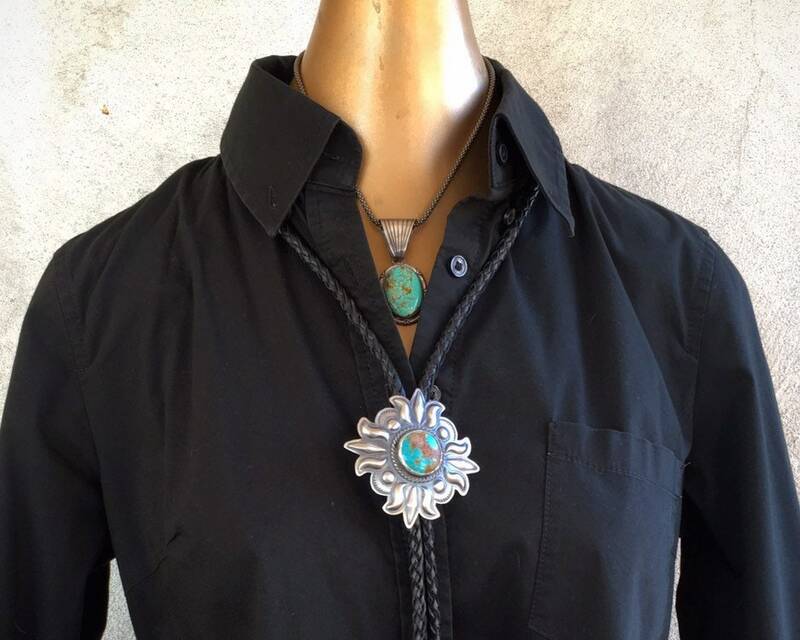 It's that kind of a piece--unlike other ties that get stuck in a closet never to be worn again. 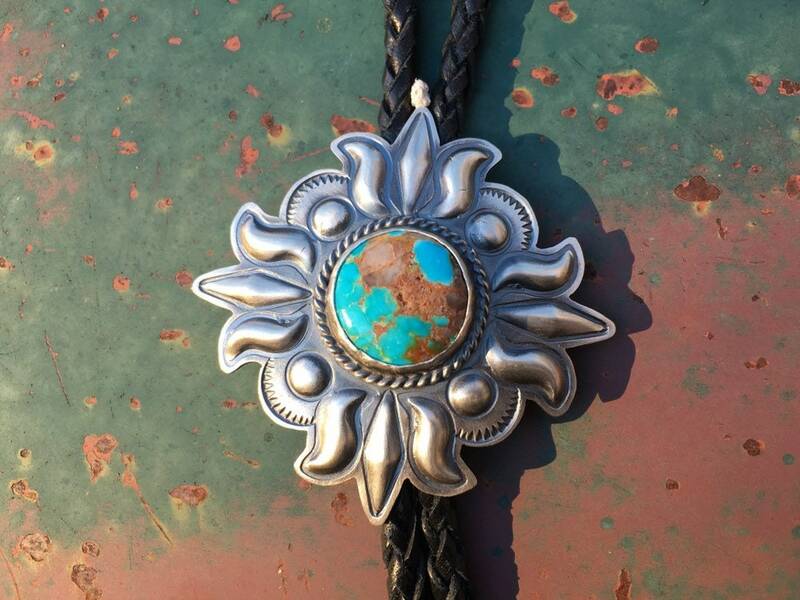 Also a great gift for anyone who loves the sun or perhaps hails from a state with a lot of sunshine. 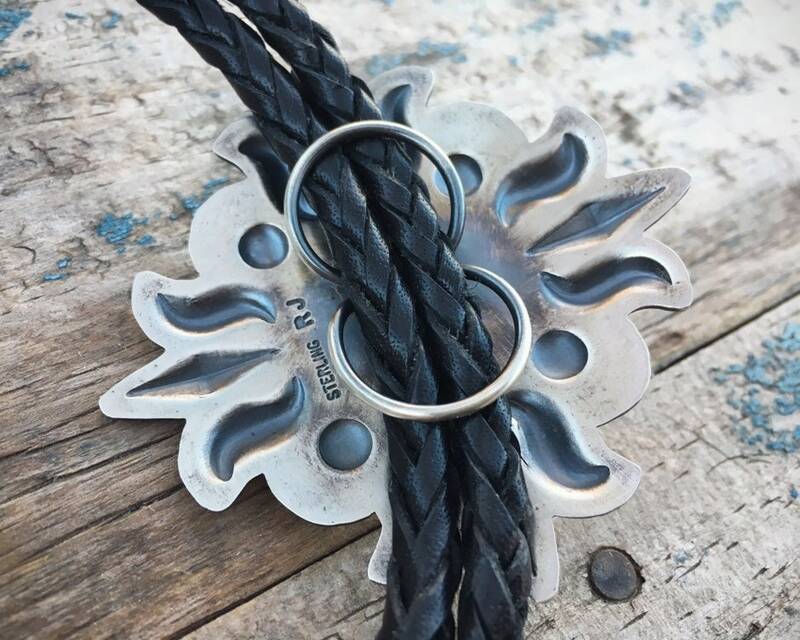 The bolo slider (the main part) measures 2-5/8" wide by 2-5/8" long. 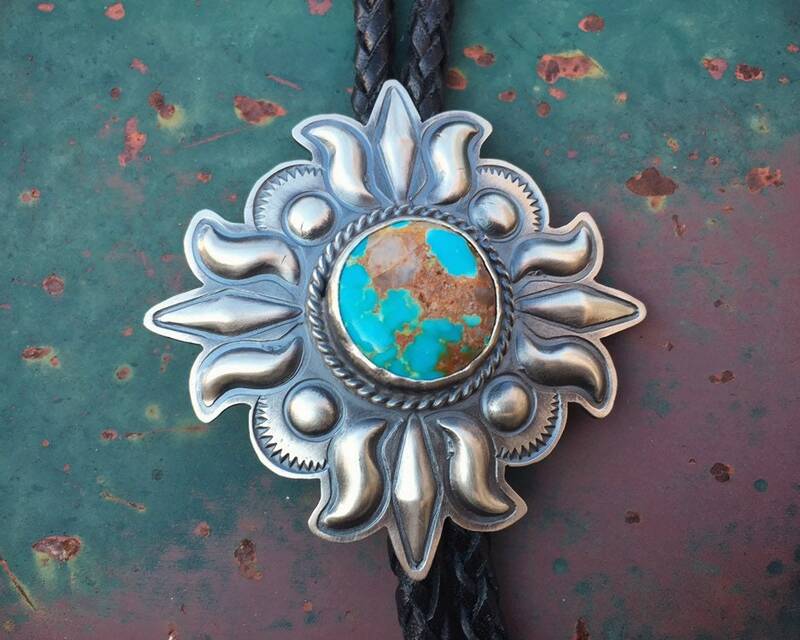 The leather lariat is thick and has some fraying from wear. 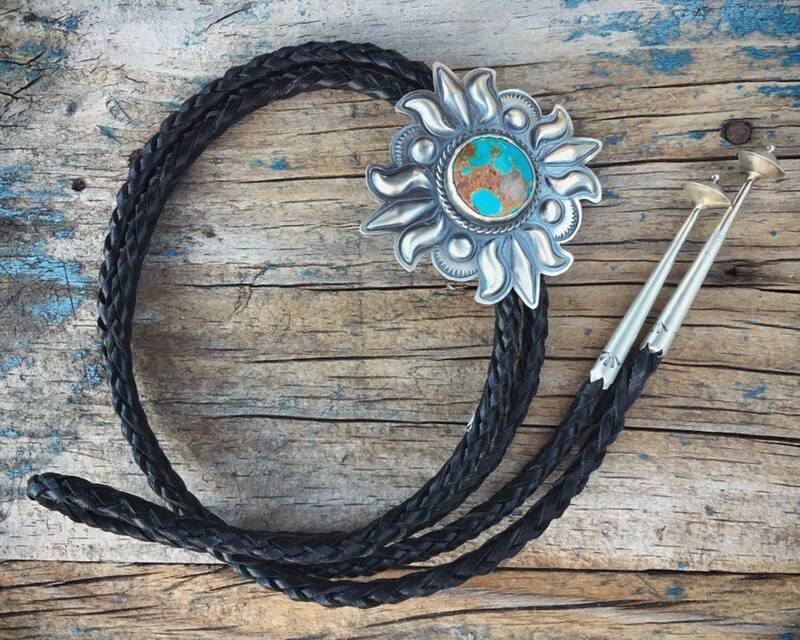 The clasp is not actually a traditional Bennett but rather a butterfly like wire slider. In good condition. 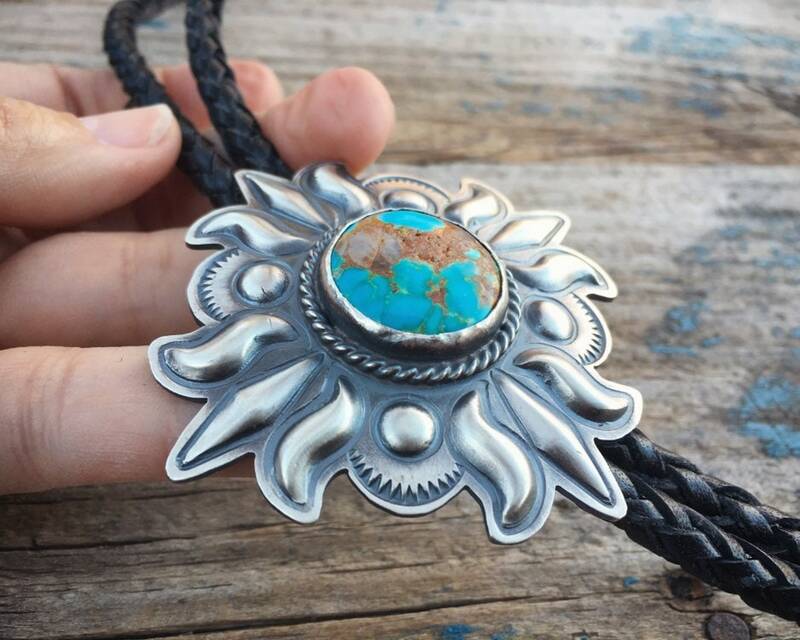 Fabulous bolo for the sun seeker in your life.